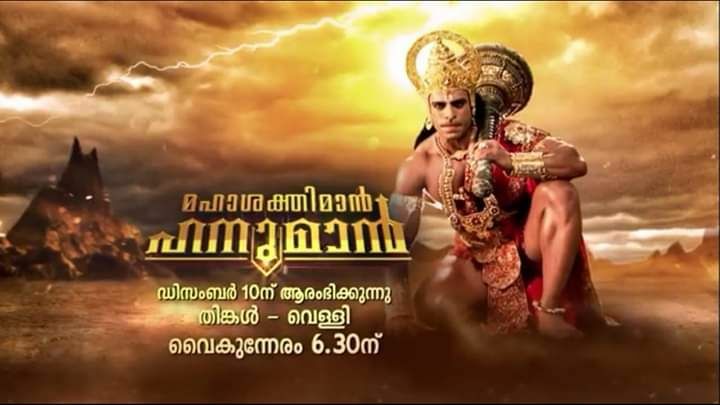 Sankat Mochan Mahabali Hanumaan serial getting another malayalam dubbing, Mazhavil manorama airing the series as Maha Sakthiman Hanuman This monday onward’s. 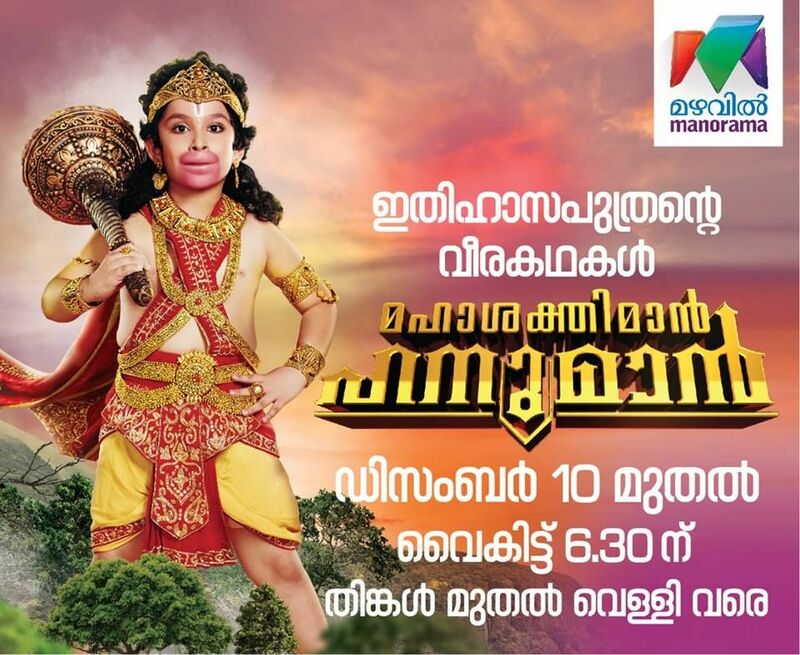 It was aired on Surya tv as Mahaveera Hanuman, now continuing the show on mazhavil manorama channels. we have reported here about the extension of serial Thatteem mutteem to weekdays at 9.00 P.M. Mazhavil manorama placed at 3rd slot, as per latest malayalam trp data. Flowers tv steady at second slot, top singer show helping them a lot. Surya tv is now at 4th positions, another player zee keralam now in the picture. Mittai.com is another offering from the channel, telecast starting from 10th of December 2018 at 6.00 P.M. Kathu, Manjadi, Poopy, Takudu , Kilukkampetty can be watch through this program, mazhavil bringing kids content at prime time. All the above mentioned cartoon very much popular in youtube, now kids can enjoy these through Mittai.com. Please be remember that Mittai.com is the title of the show, it’s not a website url. Mazhavil expecting gain in total trp through these newly launching programs. You can check the prime time schedule and weekly barc trp data of malayalam gec from here.